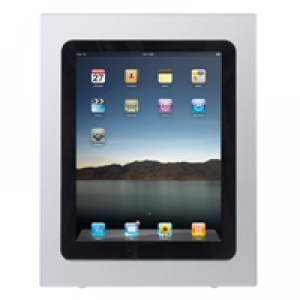 Secure your technology with iPad POS Enclosures and Mounts. Benefit from space savings, flexibility and security. Simply pair any of our iPad Enclosures with a variety of POS mounts to create the perfect solution for your application. Ideal for restaurant POS, retail, hospitality or anywhere an iPad POS solution is needed. Heavy-duty steel construction. Secure iPad Holder, compatible with all Innovative mounts. Keeps the iPad accessible yet safe. Available in black, silver or white. Allows home button access for the user. Compatible with Innovative mounting products.